Digitalized methods in education has made it compulsory for students to use internet. Which many a times is the cause of wasting their time. These tips will help them to overcome their addiction. We are loving in a digital world where everything is done through digital devices and automatic machines. The education department also has also entered into the technological world by introducing digitalized environment in schools and colleges. Internet is one such technology which is used by every age group now a days. It, no doubt, has facilitated us in many ways e.g. online study, online jobs, and online social interactions, but it has now become an addiction for teens. They are so much into the world of internet that they have almost forgotten the real life. Todays children spend most of the time on internet surfing, chatting, and gaming. It has greatly affected their academic performance, relationships, and career. Many mental and physical issues have been reported by the overuse of internet. More and more people are becoming addicted to internet. 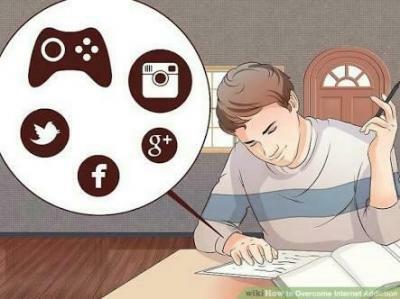 You can overcome your internet addiction by following these steps. Students make an excuse of using internet for study purposes. It is true because the new digitalized study methods make it necessary to collect information and data from internet. Most of their time is wasted through surfing internet because after getting the required data, they start using it for other purposes. To avoid this wastage of time, students should print the information and later on use it for studies instead of sitting in front of the screen for hours. •	Library computers will save your time. If you as a student want to save your time, so you should use computer of your college library for your assignment and exams. The institutes restrict access to many websites like messengers and chatrooms. Therefore, you can use the internet only for study purposes and for limited time. •	Make and follow study schedule strictly. If you have exam next month, but you can not study properly because of access to internet through laptop, tab or cell phone, you should really need to take serious steps. Make a to-do list which includes your study hours, meal time, some time for rest, but no or only few minutes for internet. You have to follow your planner strictly because you won’t like to perform poor in your exam. •	Try to get involved in activities which helps you limit your internet time. You can participate in outdoor activities to avoid using internet. Be a part of some sport like cricket, or football. You can have a group discussion with your friends in an outdoor area. Plan family nights, and hang outs with friends if you get too tired of your books. •	Your interests should be turned into your hobbies. You can utilize your leisure time in something productive instead of spending it in front of screens. Make book reading your hobby, or writing diaries or any other interest you have. You can do photography to male the moment memorable, or try some new recipe to satisfy your taste buds. There are hundreds of ways through which you can get yourself busy and involved, which will not let you think about internet surfing, and you will have some quality time. •	Switch off all the devices, especially internet router. If you lack interest in studying, or find it difficult to concentrate on your books and notes, because the constant beeps in your laptop and tablet, or blinking screen of your cell phone, shut them all off. Lock your laptop, tablet and cell phone in your closet, turn off your internet router and force yourself mentally that you will not touch any of them until you finish your task. It will look very difficult in the beginning, but after a day or two it will be a part of routine. You will get used to it and so will your contacts who kept on messaging but got no instant reply. •	Put your timer on. If it is necessary to use computer or internet for your assignment and you can not do well without getting information from google, then make a habit of timer on every time you sit before your laptop. You will have a rough idea of how much time does your search require, e.g. if your work can be done in 25 minutes, then set your timer on 30 minutes so that you only get 5 extra minutes to waste rather than one or two hours. Try tricking your mind with this tips and you will see some fruitful results. 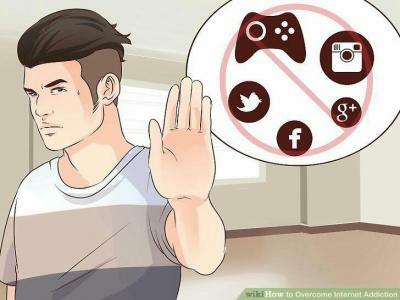 Many other points can be added to the list but these are some basic tips which will help you if you are struggling hard to cope with your internet addiction. Susan Ken is an English Graduate from the University of USA. She likes writing articles and blogs to share her thoughts with the world. Works for do my assignment for me in a very organized way.